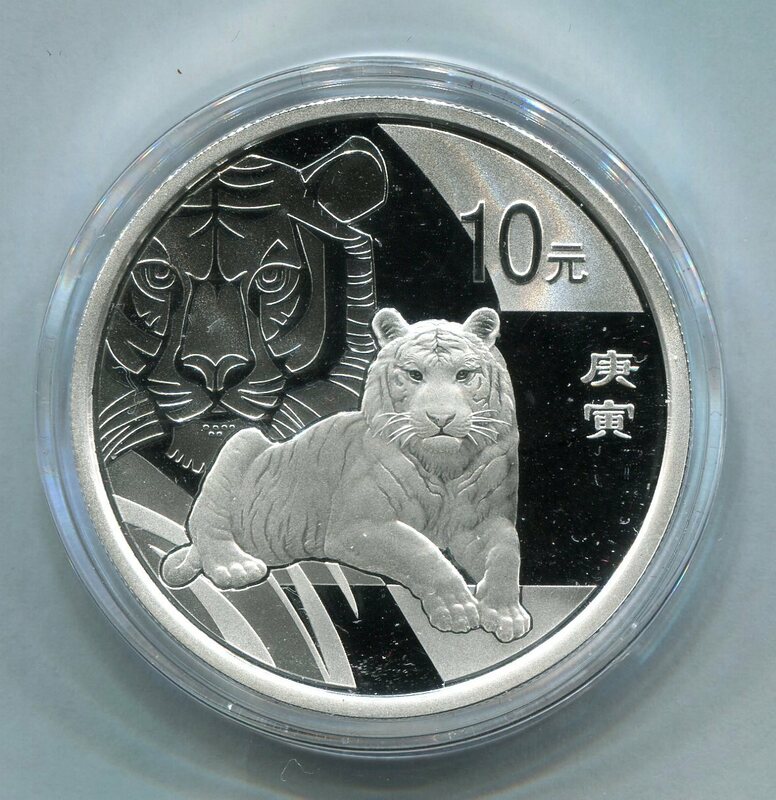 Lot Name: PRC, 2010, Year of the Tiger 1oz silver coin (with certificate and original box). English Description not available. We'll be glad to give you more details of this lot. Please don't hesitate to contact us via Message or E-mail. Notice: The description of the Lot's condition is only for reference. Once you bid, your action is viewed as acknowledging the original Lot. You can't return the Lot unless it has authenticity problem. Hello. You can enquire zhaoonline about the Lot. We will provide professional service in time. Hello. You aren't logged in. Please log in to ask. At the same time save in Sent. Subject: Hi, I saw this Lot on Zhaoonline and thought you might be interested! Lot Name:PRC, 2010, Year of the Tiger 1oz silver coin (with certificate and original box). Lot description:English Description not available. We'll be glad to give you more details of this lot. Please don't hesitate to contact us via Message or E-mail.